With more devices than ever at our fingertips, we need to have reliable charging power these days. Our comprehensive range of power cables and power adapters makes sure you never run out of power, whether you want to charge at home or on the go, in the UK or abroad. Whatever you want to power up, we can help. 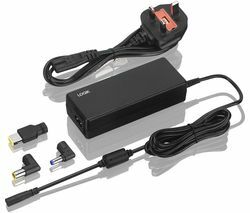 Universal laptop chargers and adapters come with multiple adapter tips to fit every laptop model. 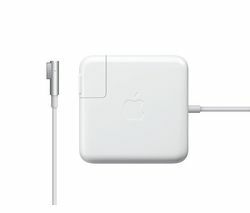 For dedicated iPower, there’s Apple Magsafe power adapters for the entire MacBook range, including the MacBook Pro, MacBook Pro with Retina Display and MacBook Air. Plug in multiple devices at home with our 4-, 6, and 8-way extension cables. Charge up on the go with our portable power packs, docking stations, USB car chargers, and universal travel adapters – forget power cables altogether with our wireless charging mats. Choose an extension cable with surge protection to ensure your devices and home electricals are never damaged following a power surge. Some of our extension leads don’t just charge via 3-pin plugs, they feature USB ports too. Wireless charging mats make it easier than ever to power up, without fiddling with cables at all, for all QI enabled devices. Whether it’s your laptop, smartphone, or Blu Ray, at home, in the car, or in the park, we have power cables and adapters to meet your needs. For serious computing power check out our selection of Apple power cables and range of Logik power cables.